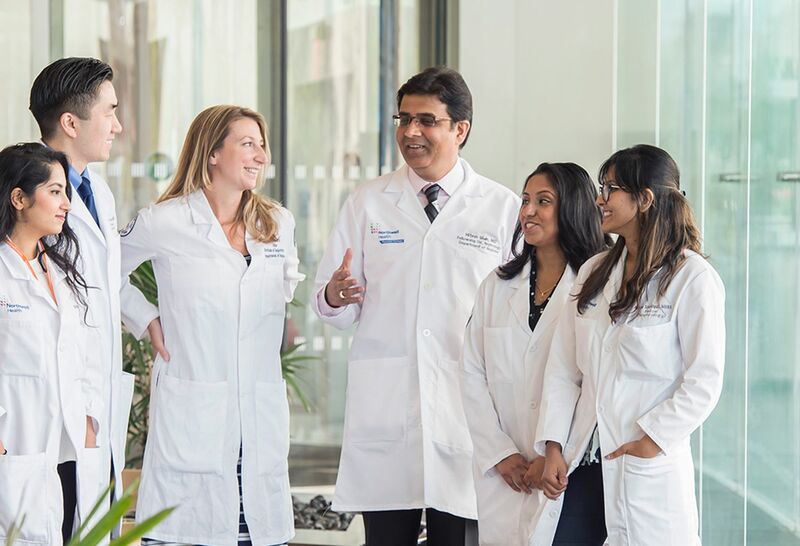 The Fellowship in Medical Ethics at Northwell Health emphasizes the American Society for Bioethics and Humanities Clinical Ethics Task Force core knowledge and competencies in ethics consultation. This clinical fellowship is designed to prepare the fellow to achieve independence as a clinical bioethicist. The fellowship entails supervised clinical responsibilities for ethics consults at North Shore University Hospital, Long Island Jewish Medical Center, Cohen Children’s Medical Center, Nassau University Medical Center and Zucker Hillside Hospital. Academic work will include completion of Hofstra University’s School of Law Bioethics course or fulfilling requirements for a masters in Bioethics. A scholarly effort is expected in the performance of a research project. Additional responsibilities include preparation for Ethics Committee meetings and for conference meetings and presentations at various departments at the mentioned institutions and at the Donald and Barbara Zucker School of Medicine at Hofstra/Northwell. Please submit a letter of interest, CV and two references to Ilene Rudy-Slatkin at [email protected] by March 31. The fellowship curriculum fosters multiple areas of expertise, including ethics consultation, education, scholarship, and engagement in institutional service activities. Through integration in hospital, ambulatory, and long-term-care facilities, fellows develop ethics consultation skills, analyze ethical dilemmas, and become familiar with organizational, professional, disciplinary, and legal influences on clinical ethics. Fellows gain experience in ethics consultation by accompanying staff ethicists on consultations and participating in weekly case review activities. Fellows also participate in ethics committee meetings at participating institutions, provide clinical ethics education in multidisciplinary rounds and other settings, perform inter-professional team mediations, conduct patient and family meetings, and develop skills in presenting case analyses for both hospital grand rounds and quality improvement purposes. By the time their yearlong fellowship concludes, most fellows will have participated in over 70 ethics. This full-time one-year program ensures a strong foundation in clinical, scholarly and professional components of the bioethics profession while advancing fellows' individual interests and career goals in clinical ethics consultation. Requirements for graduation from the program include completion of ethics consultation training, an empirical or conceptual research contribution and involvement in ongoing department research initiatives. Faculty expertise and the resources of multiple healthcare organizations in Northwell Health support each fellow’s ability to contribute to the field of Bioethics and Humanities. Volunteers in the Division of Medical Ethics are involved in many division initiatives once approved by the Volunteer Oversight Department. They come from a wide variety of institutions and disciplines, bringing with them both formal education and life experience. In the past, volunteers have included fellows and PhD candidates in research, philosophy, ethics, palliative care and psychiatry. For more information on volunteering in the Division of Medical Ethics, please contact us at (718) 470-5840.